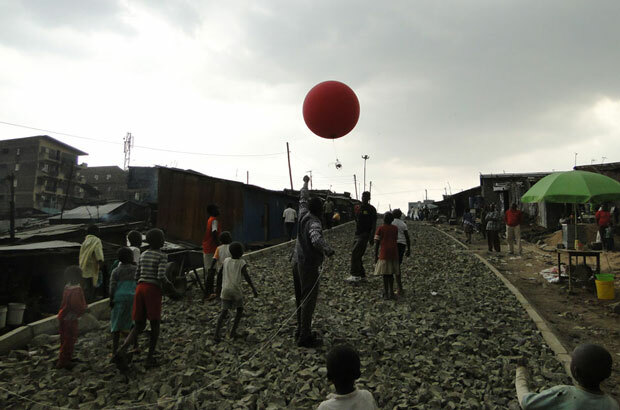 A red balloon more than a metre in diameter rises above tin roofs in Mathare, one of Nairobi’s biggest informal settlements. As the balloon’s handler walks through the narrow alleyways, a camera dangling from the balloon snaps a photo every second. This eye in the sky is helping the community identify and deal with threats to their daily food supplies. 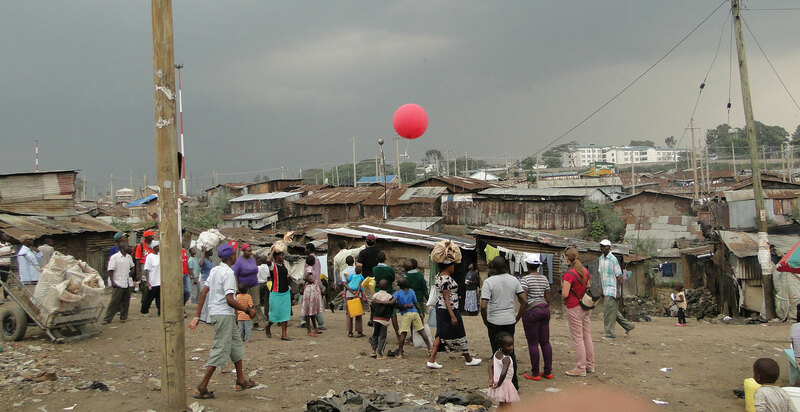 The balloon is just one part of a mapping project led by community members and Muungano wa Wanavijiji, a federation of Kenyan slum-dwellers’ associations with support from partners in the Urban Zoo project. By creating the first maps to show food kiosks, mobile street vendors and hazards such as rubbish dumps and open sewers, the project is helping ensure that both food and the people who sell it are safe. 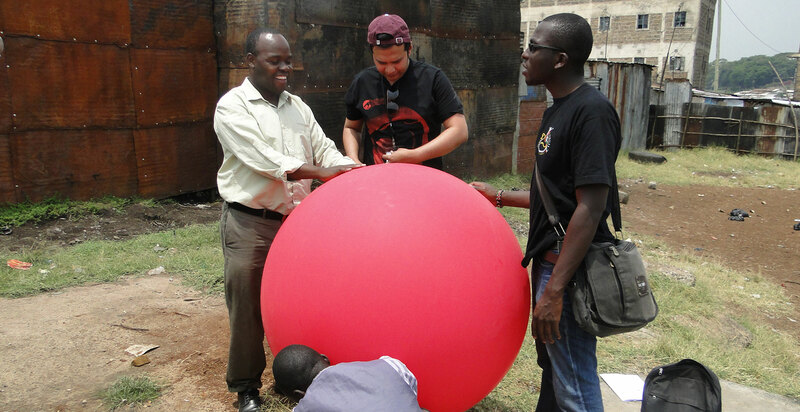 Mappers launch an air balloon in Mathare, Nairobi. Photo: Sohel Ahmed, DPU, UCL. 1 Ahmed, S. et al. 2015. Cooking up a storm: community-led mapping and advocacy with food vendors in Nairobi’s informal settlements. IIED Working Paper. Githiri, G., Ngugi, R., Njoroge, P. & Sverdlik, A. 2015. Nourishing Livelihoods: recognising and supporting food vendors in Nairobi’s informal settlements. IIED Working Paper. Informal settlements play key roles in city economies and are home to millions of people worldwide. In Nairobi, for instance, nearly two-thirds of the population lives one of 175 informal settlements. But governments and their official maps, surveys and censuses tend to ignore such places. As a result, residents of informal settlements officially do not exist. Their lack of official documentation deprives them of basic services such as piped water, sewers, sanitation, health care, waste collection and schooling. It means they cannot open a bank account, register to vote and exercise all the rights of full-fledged citizens. 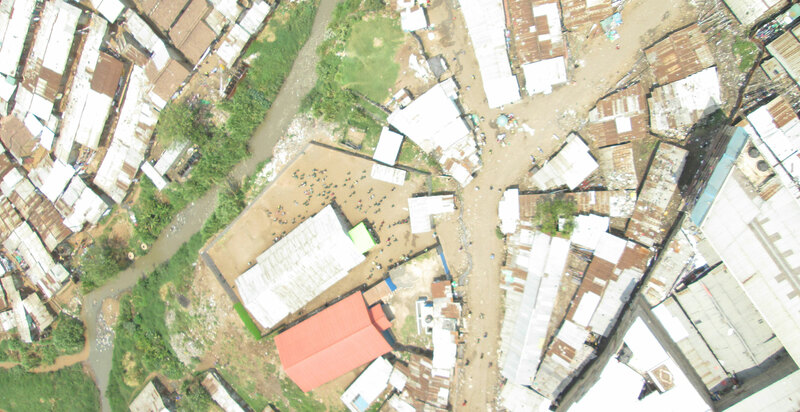 Surveying an aerial map of food safety threats in Mathare, an informal settlement in Nairobi Kenya (photo: Sohel Ahmed, DPU, UCL). Maps can shed light on the undocumented and the challenges they face. They can provide a platform for action and advocacy that addresses these challenges. But maps and mapping processes are political. They describe not only geographic boundaries but also what is within these boundaries. A map’s shape and content will therefore depend on who does the mapping. 2 Livengood, A. & Kunte, K. 2012. Enabling participatory planning with GIS: a case study of settlement mapping in Cuttack, India. Environment and Urbanization 24: 77-97. 3 Patel, S., Baptist, C. & D'Cruz, C. 2012. Knowledge is power – informal communities assert their right to the city through SDI and community-led enumerations. Environment and Urbanization 24: 13-26. This approach to mapping is a technical as well as a political process. It both creates knowledge and provides a basis from which communities can engage local authorities in policy dialogues. Through community-led mapping processes, local people can collaborate to define their geographical and social boundaries as well as their needs and challenges. By coming together and deciding how they want to describe their space and what story they want to tell, communities can develop a sense of self-empowerment—a feeling that something can be done to address the problems they face. As Muungano’s experience shows, the ways in which data are collected, analysed and reported are crucial to achieving sustainable results. Like other SDI affiliates, Muungano has long used mapping and enumerations to gather knowledge local governments lack. It has used such knowledge to encourage local authorities to join forces with communities and develop solutions to problems the urban poor face. In 2012, Muungano members started thinking of ways to improve residents’ access to safe food and at the same time support food vendors, most of whom live in the settlements they serve. Street vendor in Mathare. Photo: Paolo Cravero, IIED. Food vendors are vital to Nairobi’s informal settlements, feeding thousands of people every day. Selling food is often the only way the vendors, who are mostly women, can make money. But they are often marginalised, stigmatised and even criminalised as a public health nuisance. To many policymakers they are simply invisible. Muungano realised that data and mapping could challenge negative perceptions and highlight the crucial role food vending plays in generating income and providing the urban poor with affordable meals. Muungano worked with stakeholders from across the community, using a mix of mapping tools and deliberative meetings to explore problems and potential solutions. The project was community-led. Food vendors, livestock keepers, consumers of street food and others all took part and decided together how the project would unfold and how to use its findings. 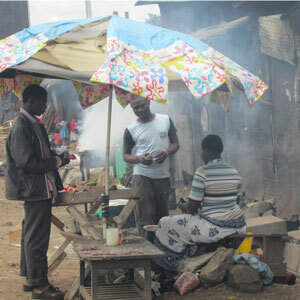 Informal food vendors in Mathare, Nairobi. Photo: Cecilia Tacoli, IIED. 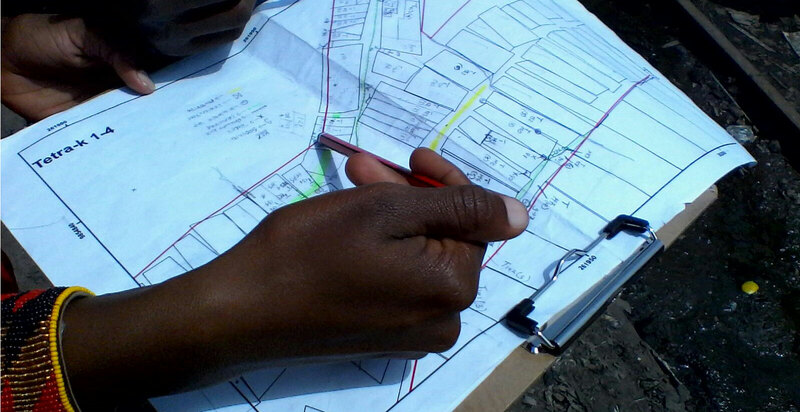 Before mapping could begin, conversations first flowed among community members about what to map, where and how. Muungano organised focus group discussions that enabled local stakeholders to answer these questions. To be effective, this phase of the process should be deliberative, open and unrushed. It takes time for stakeholders to reach a consensus about common challenges, priorities and how to proceed. In Muungano’s focus groups, participants identified and discussed what information was already available, what should be investigated and who should be included in future meetings. 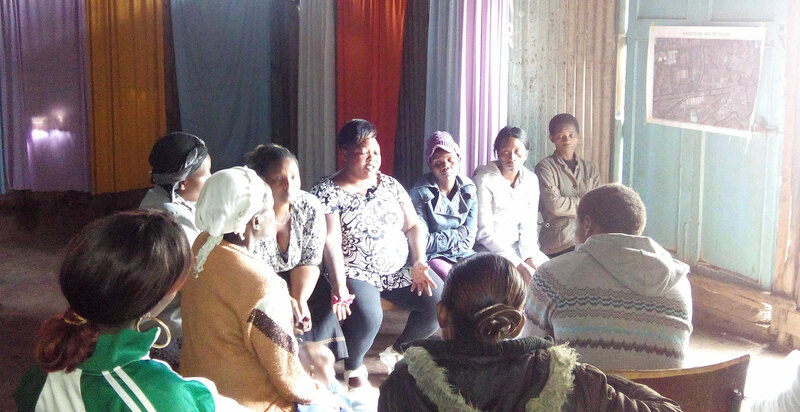 Subsequent meetings targeted specific interest groups in order to include and understand the various perspectives at play within the informal settlements. These ‘focus group discussions-plus’ used mental mapping exercises to capture local knowledge. Participants located themselves and their communities on paper and/or digital maps, and showed where services, environmental hazards, street vendors, schools, hospitals and other features are situated. 4 5 Ahmed, S. et al. 2015. 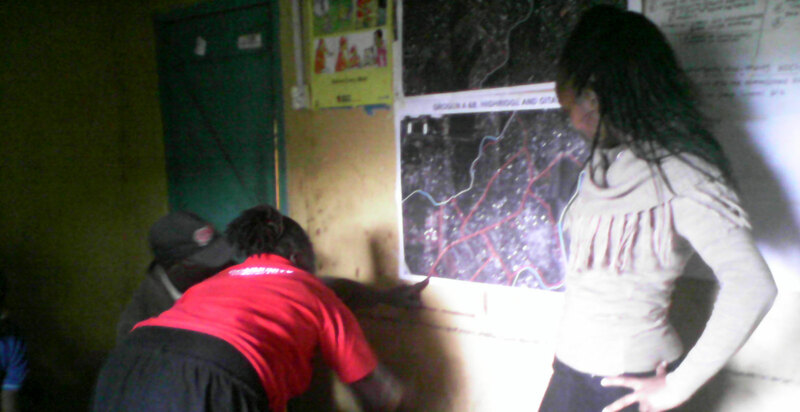 Cooking up a storm: Community-led mapping and advocacy with food vendors in Nairobi’s informal settlements. IIED Working Paper. But communities cannot simply turn to free satellite images such as those on Google Maps, which are often obscured by cloud or are simply out of date. Companies producing such images have little interest in providing current images of informal settlements. Georeferencing aerial images allows them to be combined with other maps. 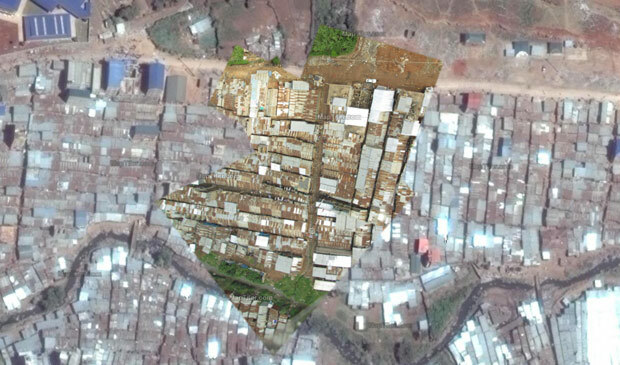 Here are aerial images from Mathare shown on a Google Map. 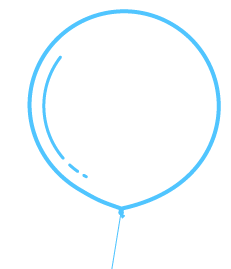 Low-cost tools such as balloons, kites and drones can, however, produce up-to-date aerial images of parts of the city official maps do not cover (see the guide to balloon mapping below). Through balloon mapping Muungano showed where food vendors operate, the environmental hazards they face in their daily work and the wider settlement’s layout including unoccupied areas. The Public Laboratory for Open Technology Science sells balloon-mapping kits for around US$100. Alternatively, you can build your own. This illustrated guide [PDF] explains how to construct and control a mapping balloon. A weather balloon. These are available from specialist shops or online retailers. Prices vary from US$10-400, depending on the type of balloon needed. A UV-resistant balloon is less likely to deflate substantially during the flight. Helium gas to inflate the balloon. The place and legislation relative to purchasing helium vary from country to county. This table can help you work out how much gas you will need to lift your mapping kit. A basic digital camera. This would ideally be a cheap or second-hand camera as it will hang from the balloon during the flight. 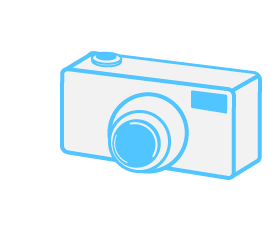 The camera must be able to take ‘continuous shots’ if the shutter release is held down, or have a time-lapse function to take shots at set intervals. You may need a rubber band to hold down the camera’s shutter release during the flight. Memorycardcalculator.com lets you see how many pictures your SD memory card will hold. 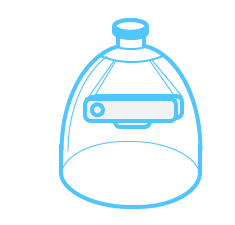 A 1–2 litre empty plastic bottle to mount the camera. Instructions are available on the Public Lab website. Some strong string or monofilament fishing line with a kite reel or similar device to secure and control the balloon. Make sure you also have a pair of gloves and some duct tape to hand. Balloon mapping works best if there is little wind. In windy conditions, however, kite mapping may be a better approach. Once the data collection and physical mapping are complete, the results and aerial photographs are shared and discussed with the community. During this process of analysis the primary concerns of residents emerge and are ranked by importance. 6 Ahmed, S. et al. 2015. 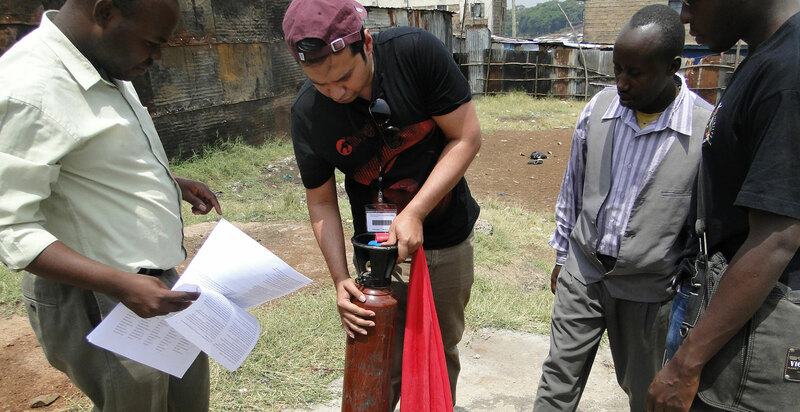 Cooking up a storm: Community-led mapping and advocacy with food vendors in Nairobi’s informal settlements. IIED Working Paper. Gallery of 9 images. Launching a balloon and resulting dialogue. 7 Ahmed, S. et al. 2015. 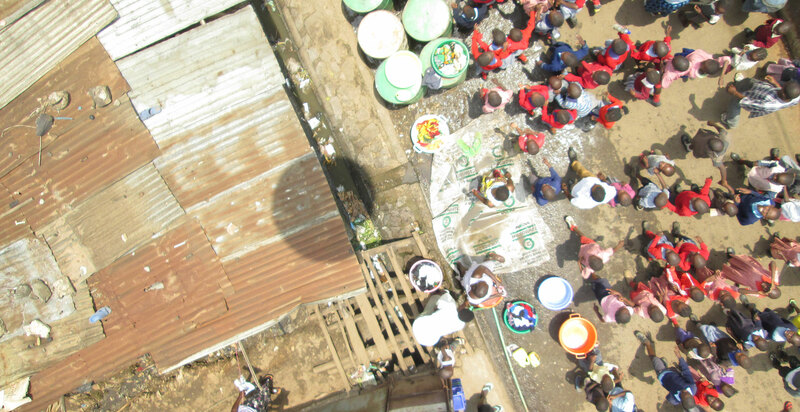 Cooking up a storm: Community-led mapping and advocacy with food vendors in Nairobi’s informal settlements. IIED Working Paper. This final phase of community-led mapping is fundamental as it is also the start of a new process of engagement and negotiation with local government. In this context, organized urban poor communities can support their claims with verifiable data gathered through an inclusive mapping process. By putting themselves on the map, the food vendors of Nairobi’s informal settlements have shown how they much they matter to local food security and what local government and residents can do to recognise and support them. They have become visible. Muungano wa Wanavijiji spearheaded this process with support from the Muungano Support Trust, the International Institute for Environment and Development (IIED) and the Development Planning Unit (DPU) at University College of London (UCL). 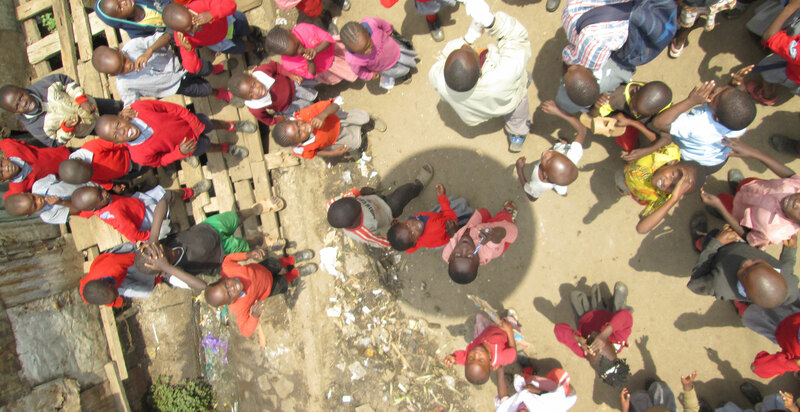 This process led to further research providing gender-sensitive analysis of food vendors’ contributions and challenges in two other Nairobi settlements (Korogocho and Viwandani) in collaboration with the Africa Population and Health Research Center and the International Livestock Research Institute. Muungano is an affiliate of Shack/Slum Dwellers International. 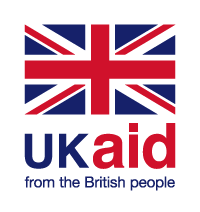 This research was funded by UK aid from the UK Government, however the views expressed do not necessarily reflect the views of the UK Government. We also acknowledge the Medical Research Council, Natural Environment Research Council, Economic and Social Research Council, and Biotechnology and Biosciences Research Council for the funding received for the Epidemiology, Ecology and Socio-Economics of Disease Emergence in Nairobi project through the Environmental and Social Ecology of Human Infectious Diseases Initiative (ESEI), Grant Reference: G1100783/1.